Google is efficiently rolling out its monthly software update for various of its devices. The latest software update comes with February 2019 Security Patch. Google Pixel 3 and Pixel 3 XL, both devices started to received the update. Since, its an OTA update, it will roll out gradually. 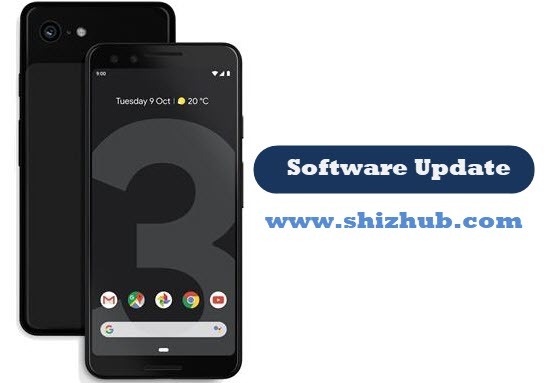 If you can't wait then keep reading this article to update your Pixel 3 / 3 XL to latest February 2019 Security Patch that running on Android 9.0 Pie. How to Check for PQ2A.190205.001 OTA February 2019 Update? To check and download the February 2019 OTA update for Pixel 3 / 3 XL devices follow the steps below. Below are the links for OTA and image files for Pixel 3 / 3 XL which comes with the February 2019 security software update. You can ADB sideload the OTA or you may perform the factory image installation. I will guide you through both the methods. First, we will learn you how to install factory image. Before that, you must have some pre-requisites as mentioned below. Make sure your device have at least 50% battery power. Step 2: Now extract downloaded factory image zip file of your respective device. Then copy extracted files to ADB folder. Step 4: Make sure your phone is connected with computer. Now type following command: adb devices . This command should show your device respective code. If it not showing anything, then either your device isn't connected properly or you didn't followed all 'pre-requisites'. Step 5: Its time to boot into bootloader. To do so, execute following command: adb reboot bootloader. Your device should now boot into fastboot mode. Step 6: Now we are ready to flash PQ2A.190205.001 factory image to respective device. For that double click on flash-all script that located on your adb folder. This script installs the necessary bootloader, baseband firmware(s), and operating system. Step 7: You will be asked to press any key to exit once the flashing process ended. Please do not exit the terminal or command prompt until it asked show. Your Pixel 3 / 3 XL will reboot automatically and is now running on latest Google Android Security patch for February 2019 with build PQ2A.190205.001. Step 2: Copy OTA zip file to adb folder. Step 5: Its time to boot into bootloader. To do so, execute following command: adb reboot recovery. Your device should now boot into recovery mode. In recovery use Volume button to jump between options and Power to select. Step 6: To enter sideload mode, select the option Apply update from ADB. Step 8: Once the update finishes, reboot the phone by choosing Reboot system now. That's it! You now learned both ways to update your Pixel 3 / 3 XL on latest Google Android Security patch for February 2019 with build PQ2A.190205.001.